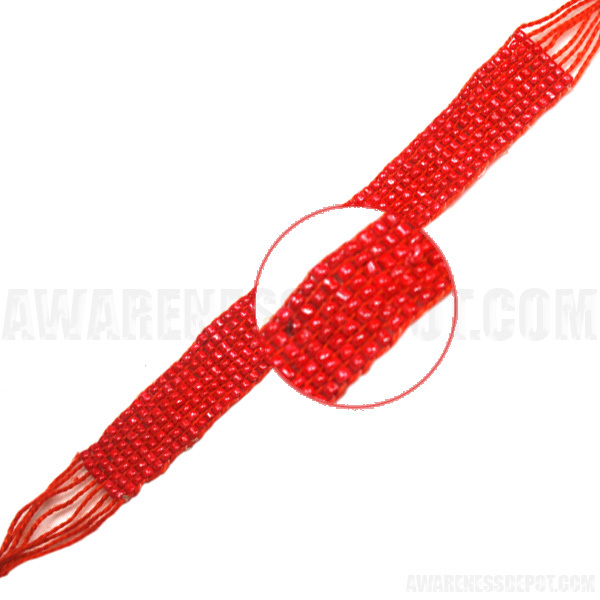 These red woven bracelets are handmade and are made of 350 tiny woven shiny beads. They measure approximately 13" in length from end to end. They are currently a fashion trend for youths. An alternative way to show your support for Diabetes, AIDS, Heart Disease & Tuberculosis.